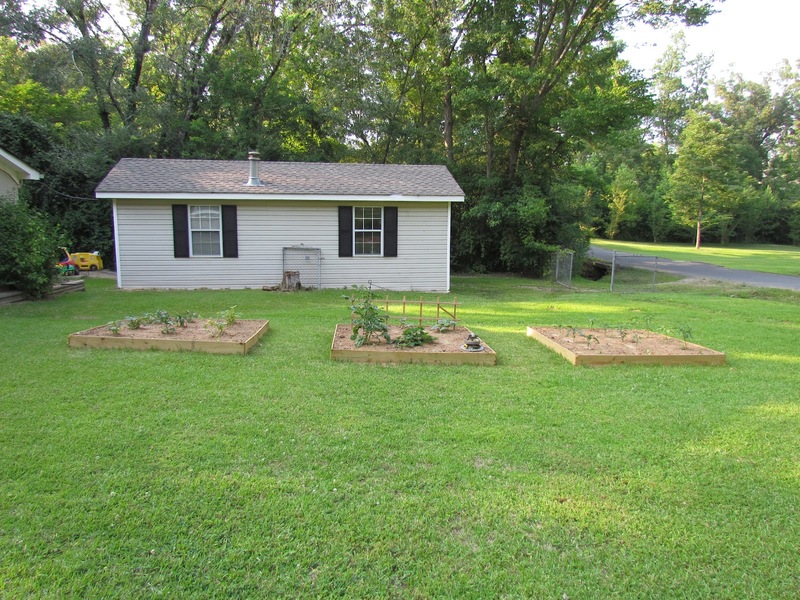 We’ve decided that you don’t have to have a farm to have a vegetable garden, and we planted one in our front yard. 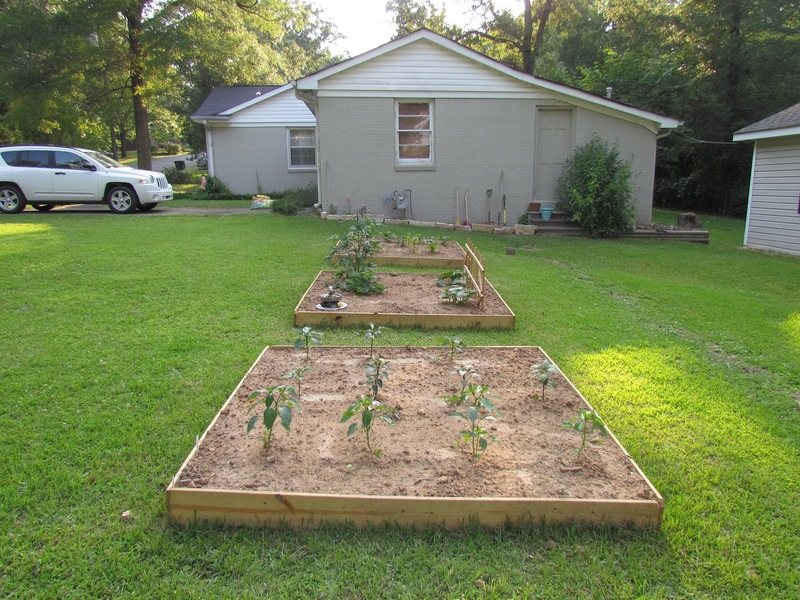 We made cute little raised beds from rough pine pickets and wooden stakes that we picked up from Home Depot. 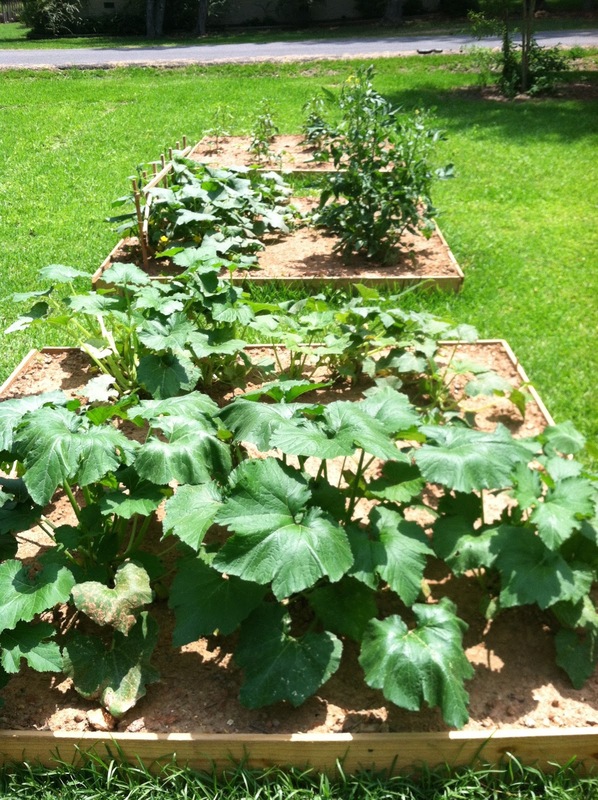 Then we filled it with veggie plants that we picked up at the local Farmer’s Co-Op. If you have the choice, I highly recommend buying your herbs and vegetable plants from a Co-Op. The prices are much better and they have a wider selection. We’ve been working outside most weekends, completing a little project here and there. We took down the chain-link fence and have replaced it with a cute wooden fence. (Pictures to come.) 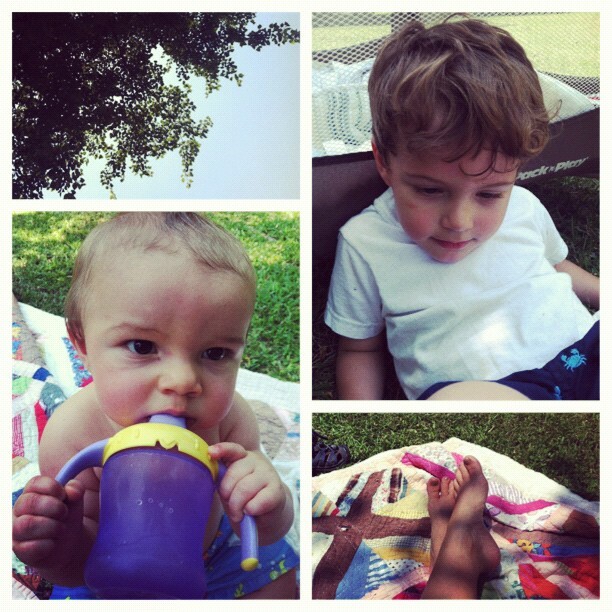 Alston usually helps daddy while Eli hangs out on a quilt or in his pack-n-play. I have three prize tomato plants that I grew from seeds. I’m extremely proud. As big as the plants were, we haven’t gotten any tomatoes yet. I read online that it could be from improper fertilization. 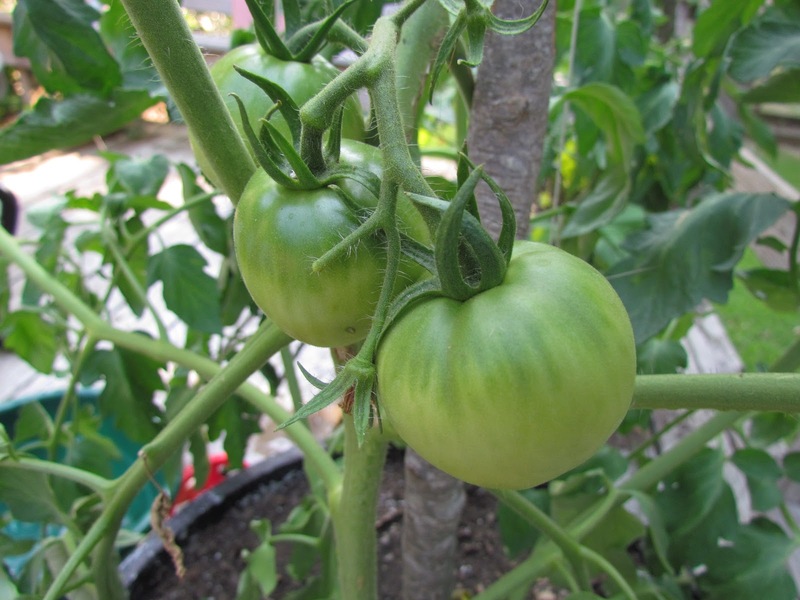 Several gardening forums said to shake the tomato plants. Yes, that’s right, shake them. So I did. Patrick thought I was crazy. Low and behold, we have lots of little green tomatoes growing now. So far we’ve only managed to get a few banana peppers and a single jalapeno, but everything is very healthy and I expect we’ll have quite the little harvest soon enough.